SSB or Services selection board is an organization which selects candidates for Army, Navy and Air force recruitment based on multiple criteria giving them points by conducting. The many criteria include Medical Examination along with Dental tests and examinations along with mental, physical and intellectual evaluation to access the potential of the candidate and determine if he or she is eligible. Many candidates are eliminated based on their physical health issues which include Dental health as well. In every batch based on the fitness report, the unfit rate goes up to 45-55% making it one the most crucial aspect in the SSB recruiting process. The Medical and Dental examinations are done prior to interviews and many health issues are considered before declaring the candidate fit for interviews. The cut off mark to pass a Dental examinations is 14 Dental Points which are required after examining the candidate and these are the points which you should keep in mind before going for the Dental examination. Make sure to visit a Dentist and get your self treated before the examination. Teeth which are not required for efficient function of the oral cavity are given 1 point each. The 1st Molar, 2nd Molar and 3rd Molars are given 2 points each if they are in correct occlusion with the opposing mandibular teeth. Based on the above points allotment, if you are having all 16 teeth (including 3rd molars) in upper jaw having good opposite teeth (lower jaw) in good occlusion, the points given are 20 to 22. This number changes with problems seen in any teeth. So the number of points required to clear the Dental examination is 14, if a candidate fails to get 14 points they are termed as medically unfit for the interview stage. 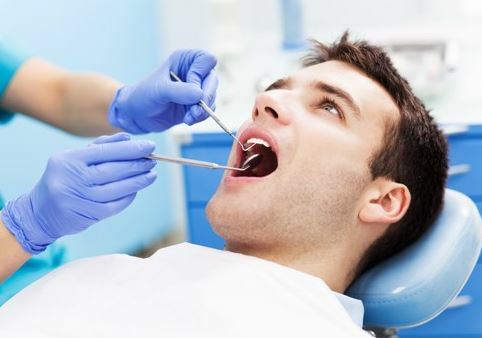 It is better to get check up done from a Dentist to determine if there are any Dental Caries or Impaction of the Wisdom teeth which need to be addressed and treated before going for the examination. Make sure that you get complete Oral prophylaxis done before the Dental examination and any missing teeth replaced as they affect the points given. Clips to the teeths are is considered or not allowed or rejected ? My teeth are coming out but no other problems. Clips to the teeths are is considered or not allowed or rejected ? My teeth are coming out but no other problems. I am preparing for cds examination.. If you are going for the medical test and training will start before your treatment is completed it might be a problem, if the clips will be removed before the training session then it might not post much of a problem. in my lower jaw 1 molar teeth is broken so please tell me did i have any problem with that in medical? Not much of a problem, is it the front tooth ? Sir,my 2 molars are extracted(1 in upper left and other 1 in lower right ) and also 2 other teeth were having small holes but I have got temporary filling in it…..So will I have 14 dental points….p.s: Currently have 30 teeth(2 extracted) and all my molars well developed. I have 14 teeth in upper (jaw)and12 teeth in lower (jaw). Then my selection will be yes or no. And how many points my teeth. As said about good occlusio, Mine is class III Malocclusion with anterior crossbite ..
And i do have silver amalgam restorations done on my 3 molars among the 12. Will all this make me unfit in my dental examination!! I dont think it will be allowed, sorry. Sir , my one teeth is black of cavity ,,so please tell me something about this…is it a big problem..in medical test? If there is a cavity and you can get it treated it is the best thing to do, just a cavity is not much of a problem but why take the risk when you can get a filling done in a matter of 30 mins at the dental clinic. Sir Misaligned teeth can cause a rejection..? Mostly No, but if there is severe deformity (Skletal) that can be considered a problem, but in 99% of the cases it will not be any problem. are caps on front two upper teeth allowed ,will they pose a problem? Make sure you go for Tooth colored Restorations – Composite or Glass Ionomer Cements, then it wont be a problem. Sir i have 12 dental points and is implants are allowed in army …..
Sir i have only one crooked teeth in front would it be alright for army or not? That wouldn’t be a problem. sir i have 28 teeth will it ok for dental. and filling of teeth is ok for dental. Sir, I had all 4 of my 3rd molars removed. so now I have only 28 teeth. Is it okay to clear SSB or it may cause rejection ? I have maintained a very good oral hygiene since early age but the 3rd molars didn’t have sufficient space to grow, so I had them removed as advised by dentist. :-| will I still be rejected. Please tell me :( :( :( I am worried. . .
Hi Chetan, Wisdom teeth are not considered in most cases if they are removed. Until the teeth which are present are healthy without infection there is no need to worry. Sir ….does artificial teeth considered as dental point in army medical,???? Sir, mere 28 teeth hai.Lakin mere teeth taidhe-medhe hai.jisse upper or niche ke jabde ache se mill nahi pate hai.kya mai medical mai reject ho jaunga. Kya Saamne vale teeth nahi milte yah piche vale ? Teeth crown are acceptable in medical ? It is better to go for Implants before going for selections and the missing teeth can be seen as a negative point and can give them a chance for rejection. So u mean to say I should get both implants of the second molar in the lower jaw? What implant should be used ceramic or metallic? And final question I am not getting any information about implants,in selection process implant is or not a ground for rejection? ?